KOREN ZAILCKAS is an internationally bestselling writer and has contributed to The Guardian, U.S. News & World Report, Glamour, Jane, and Seventeen magazine. She currently lives with her family in the Catskill Mountains of New York. The Drama Teacher is her second novel. "An unusual female perspective defies expectations and, ultimately, entertains." "A fast-paced, perfect poolside read." "Koren Zailckas has written a riveting psychological thriller with a deeply sympathetic female con artist at its heart. Her protagonist knows how to work the systems of social class to her advantage in fascinating ways, but discovers a terrifying truth buried in her own past that could destroy the life she’s built for herself. 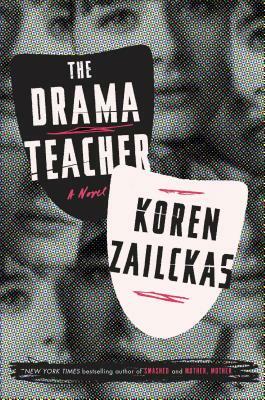 A darkly funny novel with surprises on every page, The Drama Teacher is an electrifying story of hidden identities and shattering family secrets."